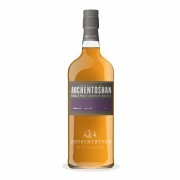 This is the second release of Auchentoshan Valinch (the first being in 2011 - I have a bottle tucked away). Valinch (named after the pipette that draws the whisky from the cask) is essentially the cask strength version of their Classic expression, matured in first-fill bourbon barrels. Only 2000 cases are released per edition. The colour is a light gold. On the nose we have ginger, cereal (Bran Flakes?? ), light caramel and buttery pastry. Very creme brûlée. Quite light and herbal, and a little too spirity, but there is a backbone of oak there. Despite the high strength, I recommend not adding water as that seems to just quiet everything down. On the palate there is custard, Granny Smith, lavender, tropical fruits (mango, papaya) and some leather. Still has that creme brûlée note, but spicier with the high ABV. Strange mix of being spirity and oaky....hm. There is complexity but it's a bit out of balance. Water brings out some creaminess in the mouthfeel, but that's about it - you may prefer it without. The finish is a little rough, and rather thin, leaving spice and oak. This is certainly not a dull dram - fruity, herbal, spicy and at cask strength - but there is an odd contrast between young spirit and oak influence. It is as if the wood refused to mellow out the spirit, yet still was able to impart wood characteristics. While it doesn't fully work for me, it is very interesting and you may find more favour with it. I tasted the 2011 edition some years ago so I don't recall enough to be able to compare it (and I'm keeping my bottle of 2011 closed for now). @talexander this is an interesting review, seems to not hold up against the 2011 - which is disappointing. 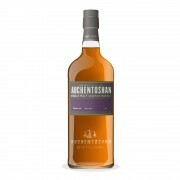 I tried the 2011 at a Whisky Show in Sydney (in 2012) and it was one of my most memorable drams of the evening. I have a bottle of the 2011 tucked away too. Thanks @Frost - perhaps one day I'll crack the 2011 and do a side-by-side, but yes it probably doesn't quite hold up. @talexander I opened my bottle yesterday and, for the moment, it is all Ginger and spices. I have oak like you did but the Ginger is all over the place. I think it will improve with air as I had a flash of red tea and rosewater. How is your bottle coming with air? The bottle is gone but I found it did not improve that much with oxygen. It got excessively flowery (I mostly made cocktails with it at the end). But maybe you'll find something different with it?